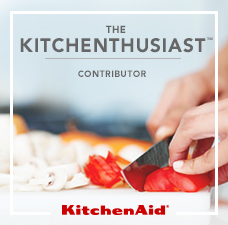 The kind folks at KitchenAid have been so enthusiastic about i scream SANDWICH! that they invited me to write a guest post with a recipe for their blog, The Kitchenthusiast. In that post, I shared lots of information about ice cream sandwiches, including tips for making the best ice creams and then sandwiching them with cookies, brownies, and other holders. The recipe I included is one of my favorites: the Peachy Keen, made by sandwiching peaches & cream ice cream between oatmeal cookies. So good, and even kinda healthy. Now they are offering a KitchenAid Pro Line 7 quart bowl-lift stand mixer to one lucky winner, who will also receive an autographed copy of i scream SANDWICH! Four runners-up will receive an autographed copy of the book. Now, please note that I myself do not have the 7-quart mixer. My 5-quart gives me enough room for most of what I do, and I can always split a batch if needed. Still, I promise not to compete with you by entering the contest. (I entered a previous giveaway just to test the waters–a single basic entry only–and wouldn’t you know it, I was the first winning name to pop up from the random generator at Rafflecopter. Being the good citizen I am, I returned my entry to the virtual bowl and moved on to the next winner.) Anyway, that is a nice, big, roomy bowl to accommodate larger batches of cakes, breads, or whatever you might wish to whip up. Once you’ve done that, you will unlock several other ways to get extra entries. We’ll take care of the rest. Thanks so much, Heather. I hope you enjoy using the recipes as much as I enjoyed developing and sharing them! My daughter and I are very excited to try the recipes…she loves ice cream. Don’t we all! The book is great for cooking with kids. Have a grand time and let us know what you make! I made the Peachy Keen today and our whole family loved it! My husband literally scrapped the whole bowel of the peachy keen! I drizzled some icing on my cookies to make it sweeter but honestly, it was the peachy keen icecream that was a hit! Here is a pic of it! Delighted to hear you enjoyed it! I would so make this except I don’t own an ice cream maker and a very cheap hand mixer I was given for Christmas. I am hoping I luck out here, I could use one as we are still buying a lot for our kitchen (it’s our first place and we have a baby)… if not, congrats to the lucky winner! 🙂 Thanks for the giveaway too btw! I would make breads, I love working with yeast doughs. 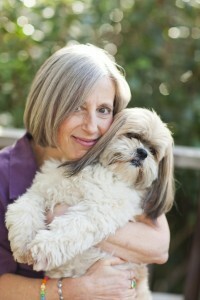 Jennie, your dog is adorable! Looks a lot like our “little girl” Marley! Thanks, Lynnda — we love our sweet if strong-headed girl! Sweet. Though I’m happy with my 5-qt, the 7 would let me really utilize the grain mill. Nice that you already have one, though. Mine is also 5-qt and I’m quite happy, though the capacity for larger batches is appealing! My pleasure — good luck! I’ve wanted a KitchenAid stand mixer for years! I think I’d have to bake a celebratory cake if I won! That sounds like the perfect way to inaugurate a new mixer! I will make bread dough & of course Ice Cream!!! Glad to hear ice cream is at the top of your list! Thank you for the amazing giveaway!! A bigger kitchenaid would be awesome!! im just starting out with my own home bakery business. and i recently realized that my 5qt mixer just isnt big enough. need to do those half sheet cakes in two separate batches =\ would loove a bigger one as a special surprise! awesome that you guys are doing this! thanks so much! and those sandwiches look amazing, im going to check them out some more! Sounds like it might be time to gift your 5-qt and pick up a larger one? I’m sure someone would be delighted to have it. Good luck, and I hope you will make some ice cream sandwiches in any case! I love my KA, but it’s not as sweet as this model. If I won, I’d totally pass down my beloved KA to a good friend and heat it up with this one! So Excited for this opportunity! Thank you! What if we don’t Tweet and do not needwant another social media account? Hi Nicole. I’m afraid the raffle app requires a first response that all entrants must complete before unlocking additional entries. That entry is a tweet because it’s the easiest for most people–just click and it tweets for you. I hear you about not wanting to set up a new social media account–balancing Twitter, FB, Google+, Pinterest, blog etc. can certainly get overwhelming. Maybe you can find another contest that doesn’t require a Twitter account? Or set one up with minimal info so you can enter? Wish I could help more but those are the rules of the game! I love to bake, and I do quite often. I don’t have a stand mixer and haven’t ever had a decent one (the last one I had broke). I would ABSOLUTELY LOVE to win the KitchenAid 7-qt stand mixer. It would be put to good use between my bread recipes and all the cakes and cookies! My first recipe with this mixer would be brioche! Brioche is a great choice. In fact, I have a recipe in my book for ice cream sandwiches served in brioche buns, which is how the do it in Sicily! My stand Kitchen Aid mixer is older than I like to admit ,,,. A new one would be very nice. Love the giveaway!! Anything ice cream is heaven-sent around here – – especially this past week when it was so terribly hot and humid!! Keep cool and make some ice cream sandwiches! I have a mixer,but it is old and the motor is getting weak and need a new one I make cookie for my sunday school kids and for other things and i got this one from a friend who let me have it real cheap and it stays on my counter all the time it does not leave it I use it all the time ,best thing I have in my kitchen . love it wish alot of people had one they are the best!!! I would love a stand mixer, I have a hand held now. I would make a lemon pound cake or ginger cookies. Since age and illness has put volunteering almost to a standstill the first thing I would make in that beautiful machine is batches of cookie love for the local children who need and don’t have that, along with my adoptive college children who needs to have a you can do it cookie. That is a very sweet and generous thought! I think that my family has ice cream embedded in its DNA. Everyone loves ice cream to the point some of us eat it even if we are less tolerant to the ingredients. My 3 year old nephew took his ice cream away from his mom the other day because she sampled a spoonful. Don’t mess with the ice cream! That’s a sweet story. My family is generations deep in ice cream, too. Thanks for hosting this giveaway and I know the first recipe I would try to make is homemade bread. A great way to save a few $$ and eat healthy! I love to make bread in my KitchenAid and I know a 7-quart would be awfully handy for that! Looks like an awesome giveaway! I Love homemade ice cream but had never thought of making my own ice cream sandwiches until now. mmm the peachy Keen recipe sounds great! although I am totally craving a smore ice cream sandwich… I would love to make the cookie dough with a Kitchen-Aid Mixer! Felicia–I have a recipe for a S’Mores ice cream sandwich in my book. It includes recipes for all the parts: homemade graham crackers, marshmallows, and fudge ripple ice cream. Of course you don’t have to make everything yourself–all the recipes tell you how to use store-bought items for some or all of the parts. But it sure is fun (and delicious) making the whole thing yourself! I have my fingers crossed for this one. Besides the fact that I LOVE ice cream, I have begun to love baking like crazy. This would sure be a nice addition to the counter and such a big help. I love to bake cakes, cupcakes, cookies and an trying to learn to make bread. Thanks so much for the chance to win this awesome giveaway! Keep up the great baking! I find bread very satisfying to make and it’s so good when it’s fresh and homemade. This would be a dream come true. My hand mixer is on its way out. I have no idea how to send a tweet! A huge batch of buttercream would be awesome! Hi Gisele — you need a Twitter account to Tweet. It’s easy to set up. Go to http://twitter.com and sign up if you like. Wow this would be wonderful, I’ve had my Kitchenaid mixer for more than 15 years and still works great but a new one would be a lot better. Hi Helen — mine is 16 years old and still working perfectly! I would love to win the 7 quart mixer! I have a small 4 quart and need more room at the holidays when making my breads and cookies! I would love to make ice cream sandwiches. Especially when my niece and nephew come. But I can’t, as I recently graduated college and unfortunately student loan debt outweighs any money I would save up for an amazing Kitchenaid Mixer. I have wanted one all my life. Fingers crossed that maybe I can win something for once in my life! Good luck to you and everyone. I sure wish I had a KitchenAid mixer to give away to each and every one of you! I neeedddd a kitchen aid! And I will definitely make cookies in it! I could really use this new mixer. Mine is on it’s last leg. I pray every time I use it! Don’t know about where you are, but here in Northern California we are still enjoying some great peaches. And I must say they make a mighty good ice cream sandwich! great giveaway and need a new mixer. Mine is over 20-yrs old and starting to make tired noises. It has been well used over the years and my first item in new one would be my favourite BD cake (Poppyseed Pound Cake). Was just thinking this morning I needed to make it this year – 71st BD is in 3 weeks and I haven’t made this cake in a couple of years because it’s not hubby’s fav. Please, please pick me! I hope you will make your 71st birthday poppyseed pound cake in any case! Happy (upcoming) birthday! I would make meringue cookies, it won’t kill my arm to hold the mixer!! It is indeed very nice to have a stand mixer for meringues, macarons, pavlova, and the like. It’s a long time to hold a beater. Just think when these were all made by hand! Would love to win this! The recipes look amazing! Thanks, Ericka — good luck! I would LOVE to win! I bake cookies, cakes, and cupcakes all the time! Would make that process much more enjoyable. awesome giveaway…thank you so much for a chance to win…love your book! Thanks so much, Maria — I had a great time writing it! my dream will come true gold, cook sweet and delicious recipe that reminds me that dreams do come true. Good luck to you, too, Pam! I agree it’s a fantastic piece of equipment. I would love to try out these recipes making my own ice cream with a KitchenAid!! I hope you will try the recipes, mixer or not! looking forward to your post on FB, and reading your blog. I’m new here !!! I hope I win this mixer! I have been wanting this mixer for awhile now – love this giveaway! Your cookies are very pretty, Anne! Thanks for giving this away! I love ice cream! I LOVE my KitchenAid mixer!! I would love to have a larger one though! I would love to make empanadas. nutz, I don’t have the ingredients to make ice cream in the house right now but pinned the recipe for peach ice cream and the cookies for future reference…….but I did enter the contest, just not able to do the last entry in time. Thanks for stopping by and entering in any case. Do try out the recipe when you get the chance! I loveeeee a great giveaway …I lovveeee this blog also! It’s “Peach Days” near our home in just a few days! The Peachy Keen recipe sounds amazing! Especially if I had a Kitchen Aid to make it in! Enjoy that last peachy taste of summer, Stephanie. I hope you try the ice cream sandwich recipe. You can really taste the peaches. I would love to win a mixer~wow the ice cream attachment is really cool. I love your blog, and so excited to find it. I look forward to following you! Thanks, Rikki — I look forward to having you along! Bread , Bread , and more Bread….. I am so old, it’s about time I got a KitchenAid Mixer! This recipe looks so delicious can’t wait to try it and share with my grand-kids. I love everything with peaches so trying the Peachy Keen recipe is a must for me. Awesome giveaway and can’t wait to try this recipe! 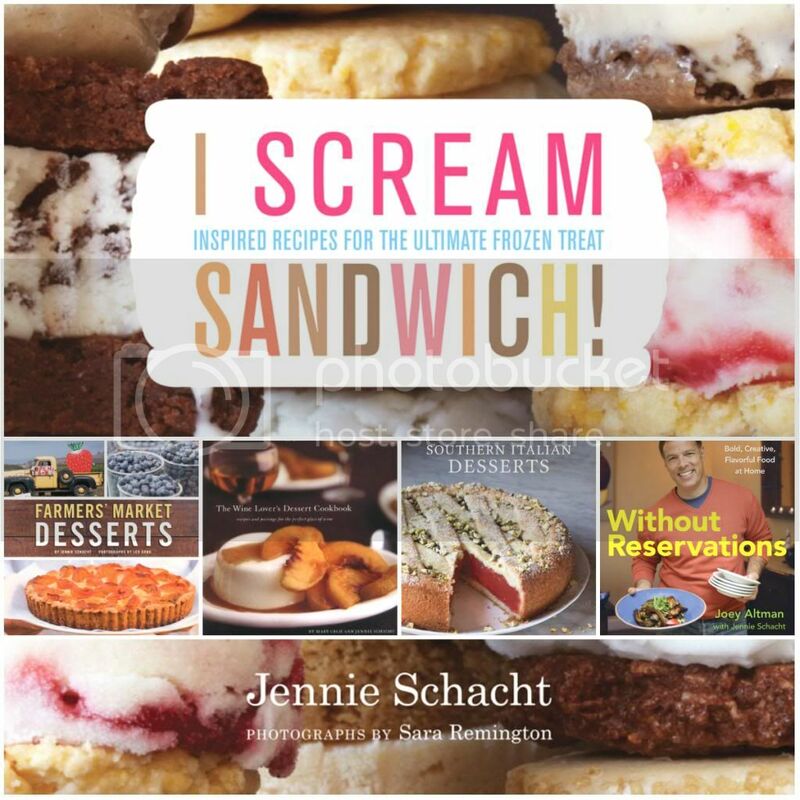 Not only do I LOVE KitchenAid, but I would LOVE to win the book, “i scream SANDWICH”! Thanks, Jennifer — that is music to my ears! Looks so yummy! Love this giveaway! Gonna check out more of you recipes!!! I’m a “chocolate chip cookie with vanilla ice cream and sprinkles” kind of gal. But I am definitely going to try the Peachy Keen recipe today! Let me know what you think, Rosa. Happy churning and baking! Would love to have one. Have never had anything like this. Just a small hand held. I had only a handheld for a long time, too. 16 years ago I finally got all my friends to pitch in on a KitchenAid for my birthday and I have not looked back. Good luck! I love this giveaway! Would love a stand mixer! Sounds like just the thing for your condition. 🙂 I don’t have your excuse, but I love stocking a few kinds of ice cream sandwiches in my freezer for whenever the mood strikes. It really impresses people when they drop by and you offer them one. I would die for this! I have wanted one for sooooooo long….. and ice cream….ice cream and cookies, together. I’m in heaven! OMG! I’ve always wanted a Kitchen Aid Mixer…every Black Friday I drive to some of the stores who have the mixer on sale, however, I never have enough money left to buy this item. I mean after buying the things my kids asked for Christmas I really don’t have the money to treat myself. Maybe I’ll win this giveaway. Keeping my fingers cross!!! Oooh, Oooh, would love a new Kitchen Aid Mixer! Would love to have a new KA mixer….mine is old, old, old…and second-hand. I’ve been wanting one of these for a while now. I’ve been trying to decide on a kitchenaid or a cuisinart. I SOOOOO need this mixer! I love homemade chocolate chip ice cream sandwiches too! I would like to make peanut butter cookies with peanut butter cup ice cream. That sounds like a fun combination! I’d make a couple loaves of oatmeal bread . It would be nice to make bread without making a huge mess with the flour going everywhere and have the KitchenAid do the kneading for me !! It is indeed nice to have the dough hook do most of the work! I already have requests for Nutella Chocolate Chip Cookies. So yummy!!! Double recipes some triple recipes this mixer would be amazing! Ice Cream and Kitchen-Aid! I am so in! Would Love this beautiful mixer! Good luck to everyone! I love peach ice cream with ginger cookie sandwiches! I have made that combination and they were really good! I look forward to making the Peachy Keen ice cream sandwich recipe in the linked Kitchenthusiast blog post. I hope you enjoy it, Belinda — report back! yummmmmmmm and pick me pick me! I would make my granddaughter a birthday cake for her first birthday!!! Aww, happy first birthday to your granddaughter! This is a spectacular prize, particularly with the complimentary ice cream maker mixer attachment !! I really enjoy making ice cream. I would love to try the Peachy Keen recipe! Thanks so much! Doesn’t come with the ice cream maker attachment but you can easily add that. Do try the Peachy Keen sandwich. If you are already comfortable making ice cream it will be a breeze. Love this giveaway!! Making ice cream sandwiches to quench the Florida heat would be a dream! I’ve wanted a KitchenAid mixer forever! Thank you for this giveaway and this delicious recipe! Perfect to use these Porter, Oklahoma peaches with! You’re welcome, Danielle — thanks for entering and enjoy those peaches while you can! Would love to win this mixer! All my friends and family have one! I have Rheumatoid Arthritis all over and especially in in hands! This would be a great help for me so I can make some wonderful goodies for my families and friends! Can’t wait to try some homemade ice cream!!! Need a pumpkin spice ice cream sandwich for the holidays! 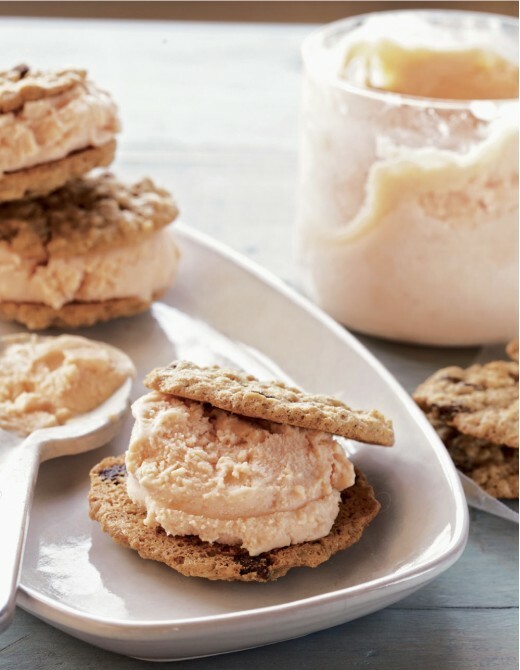 There’s a recipe in the book, Michele — it’s called the Giving Thanks sandwich: boozy pumpkin-pecan ice cream on maple leaf cookies. Pretty darned tasty! Now I’m craving one too, Heather. I have a sandwich in the book called Wake-up Call: espresso caramel swirl ice cream on espresso fudge brownies. Sounds like it would be right up your alley! now that’s definitely up my alley…great combination. Sounds good to me, Holly! I wish I had a mixer to give away to each and every one of you! That said, my Southern Italian friend grew up with two forks held together in one hand as a makeshift whisk. Equipment is great if you have it, but there is much you can do without it! Mixing by hand is great — that’s how it was done before electric mixers! But ever since my friends all went in for a KA stand mixer for my 40th birthday I have never looked back. I NEED a mixer. I love baking and have never had a standing mixer but I had a handheld with dough hooks………….and I BROKE a dough hook a couple weeks ago making bagels. I’m so sad. This would be soooooooooooooo awesome to win!! I can imagine bagel dough would be hard on a handheld mixer! Thanks for entering and good luck! Kitchen-aid? Yes. Ice cream? Yes. What’s not to love? Yum!! Can’t wait to try all the recipes. Thank you!! I hope you will. Please report back on what you try and how you like them! Ugh … sorry, but I didn’t make the ice cream sandwich, but just looking at the entry on rafflecopter seems to have trigger it to BE and entry. I tried to cancel, but it won’t un-do. Ooops. Hi Donna — Thanks for letting me know and sorry for the difficulty. I was able to remove just that entry. You can get it back if you decide to try out the recipe. Thanks for playing! Love this giveaway! and I could eat ice cream sandwiches all day! Gonna go check out the Peachy Keen recipe now! Thanks so much, Alice. Let us know if you try it!